One of my all-time favorite Christmas movies. In fact, it's one of my all-time favorites. Scott is just amazing. This is very good thanks to Scott but I really the 1951 version and my holiday tradition is the 1970 version called Scrooge with Albert Finney. 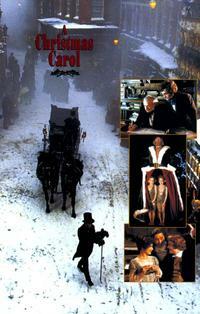 This is both my favorite adaptation of A CHRISTMAS CAROL and my all-time favorite Christmas movie. There is nothing in it that I dislike, and the casting was absolutely flawless, joined with an amazing script and perfect direction. George C. Scott deserved an award for his performance. Absolutely the best Scrooge ever! Also, Edward Woodward, one of my favorite actors, was perfect as the Ghost of Christmas Present. I am surprised it got only 2 stars.